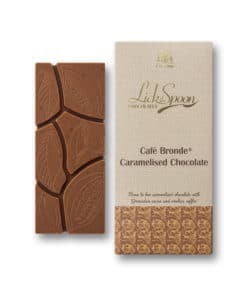 Bean to Bar caramelised chocolate with Grenadan cacao and arabica coffee. We use cacao beans from our good friends in Crayfish Bay on the island of Grenada. 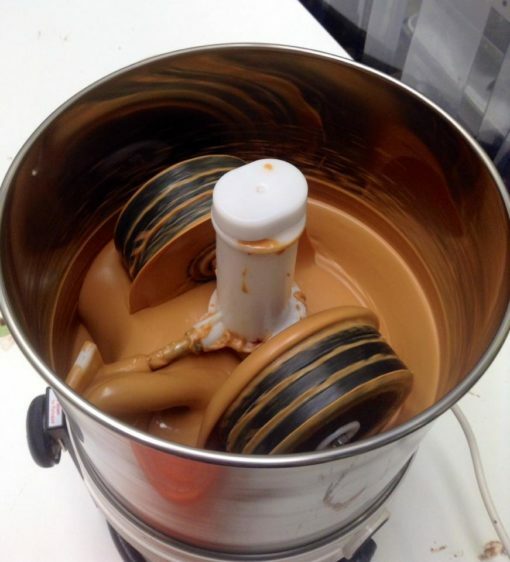 We make our Bronde ® from scratch here at Lick the Spoon gently refining for 72 hours until perfectly smooth and then add the subtle crunch of ground coffee. 39.5% cocoa. 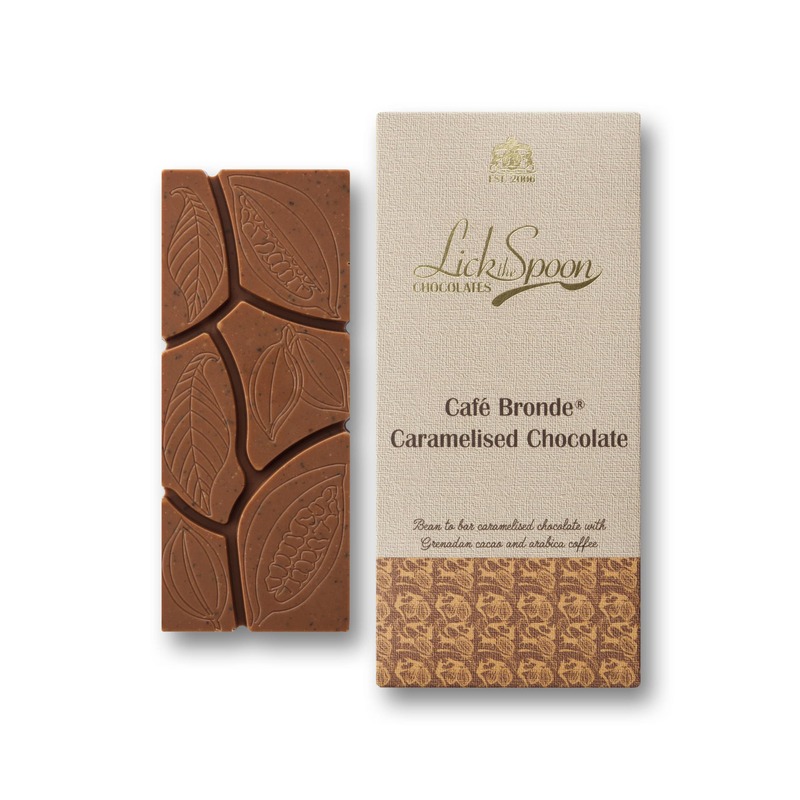 Bean to Bar caramelised chocolate with Grenadan cacao and arabica coffee. 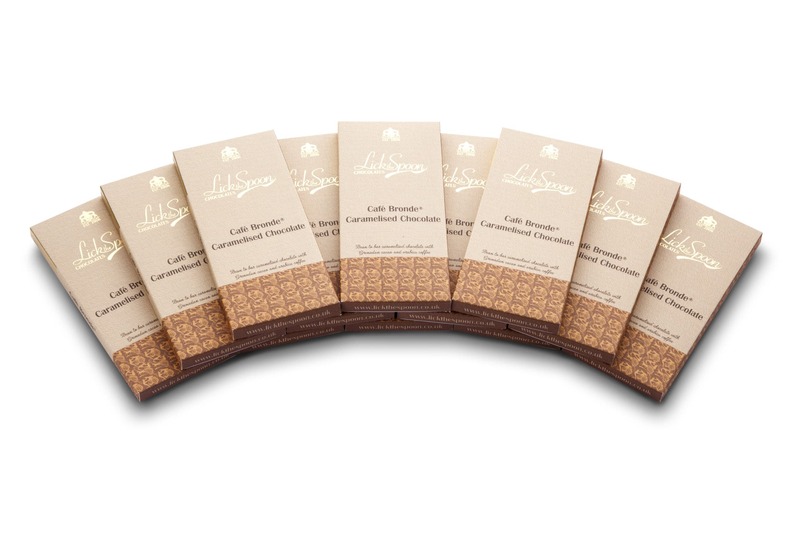 We use cacao beans from our good friends in Crayfish Bay on the island of Grenada. 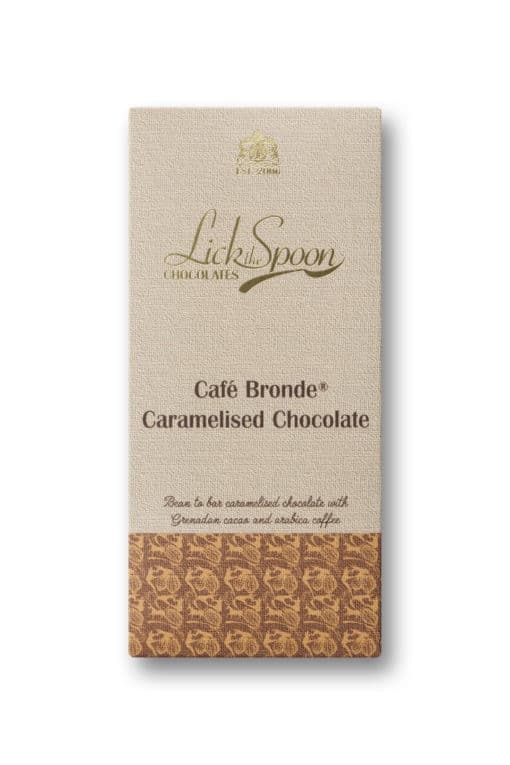 We make our Bronde ® from scratch here at Lick the Spoon gently refining for 72 hours until perfectly smooth and then add the subtle crunch of ground coffee. Our original Bronde chocolate bar was a Taste of the West Gold Award winner 2016 and finalist for Champion Chocolate 2016! Our first in house craft produced chocolate bar conched and refined in house; blending the delicious caramel notes of ‘blonde’ caramelised white chocolate with a dark undertone of Crayfish Bay cocoa beans. It takes us three days to make each small batch of bars.